The Standing Stone: Temple Kelly, Clonmacnoise, Co. Offaly. Temple Kelly, Clonmacnoise, Co. Offaly. 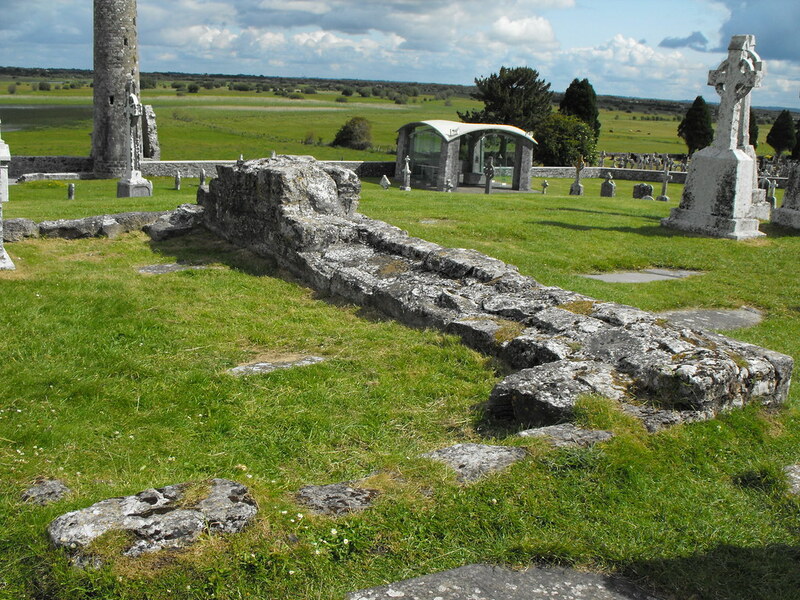 Location – In the main Clonmacnoise site next to the Cathedral. 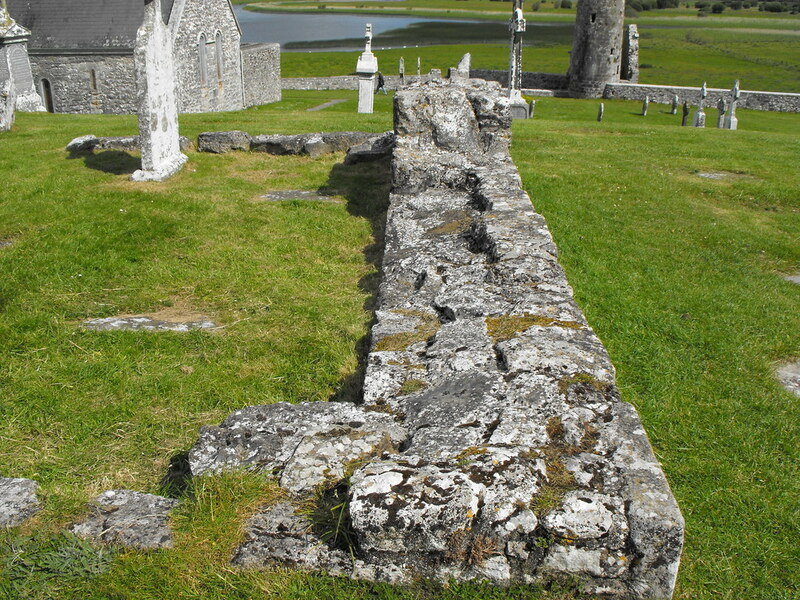 Description and History – Out of all the churches at Clonmacnoise this church is in the worst repair. All that remains are the wall footings of two walls and one corner. You cannot get any real sense as to what this church as like. 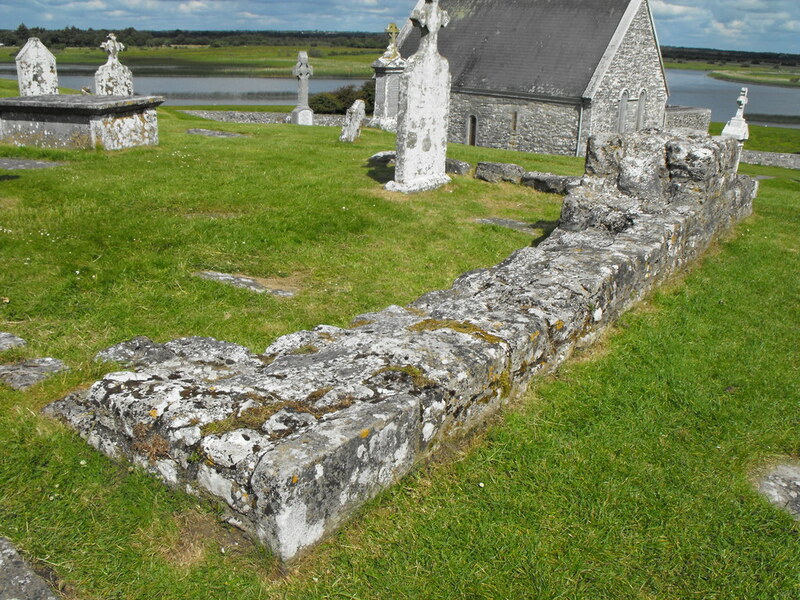 It is likely that this is the church that is mentioned in records as being patronised by Conchobhar Ua Ceallaigh of Ui Maine and built in 1167 replacing a wooden oratory. Back to the Clonmacnoise main menu.